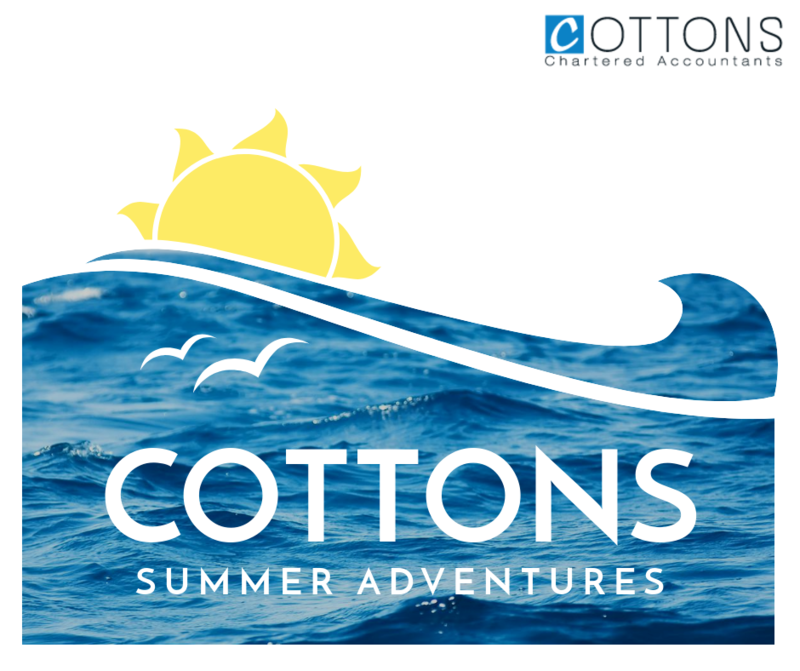 With many of us in holiday mode throughout July, you could be forgiven for thinking that things may be slightly calmer at Cottons but, it’s the precise opposite. 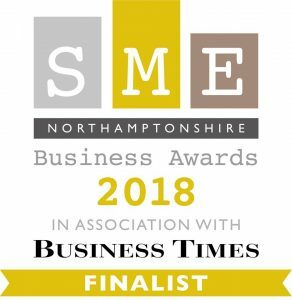 We are delighted to announce that Cottons have been named as finalists in the Employer of the Year category as part of this year’s SME Northamptonshire Business Awards. Cottons pride ourselves as a forward-thinking business with a commitment to investing in our team. We are proud to be nominated as Employer of the Year and look forward to the awards ceremony in November. Make sure to follow us on social media to stay up to date with events as they unfold. Staying with the awards theme we would also like to take this opportunity to say congratulations to Keigh Garlick, a student at the University of Northampton, who received a monetary prize for being named the Best Corporate Finance student at this year’s graduation ceremony. Cottons’ own Ross Davidson was invited to the event earlier this month to hand out the cheque to the student as part of our recognition of Keigh’s efforts. Lastly congratulations to Michael Cromey who passed his Advanced Audit & Assurance and is now an ACCA fully qualified Accountant. At Cottons, continuing to invest in our team allows us to ensure that we are able to offer our clients a high level of service. This July has been baking! A team from our Northampton office took part in the Howes Percival Sports Day on the 8th July. Unfortunately, they failed to make the top 3 but everyone had a great time. 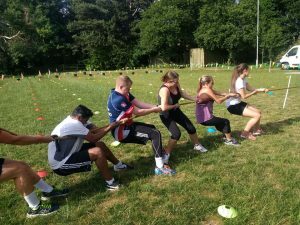 Check out the tug of war! 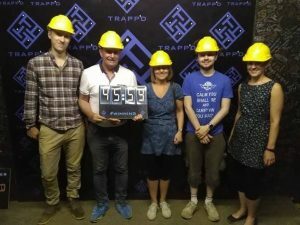 Teams from all our offices have been taking part in our ‘Escape the Room Challenge’ at Trapp’d to find out once and for all which office reigns supreme; well perhaps not but, massive bragging rights are definitely at stake. The teams from Rugby currently top the leader board but, as things stand, our teams from Northampton are going to have to pull their socks up in the last rounds. An awards evening for the mini championship is being held this week at the Bull Inn in Rugby. We will update you on the overall victors next month! 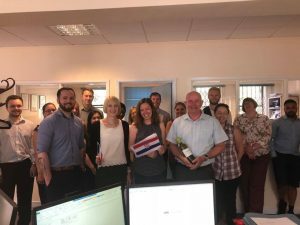 In other sporting news, well done to our World Cup Sweepstake winners, Emelia Walker and Liz Harris who had France and Croatia, and well done to Dave Ingram and Zack Rees who also scooped prizes. 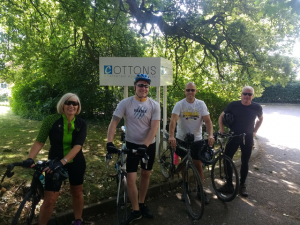 Our riders from Daventry and Northampton completed their Daventry Cycle Sportive challenge despite the soaring temperatures. Cottons were proud to be a sponsor for the event and you can check out the full details on our blog. Finally, Sarah Petrie from our Northampton branch is in training for the Great North Run in September in aid of the MS Society. Anyone wishing to sponsor Sarah can do so by visiting her JustGiving page. We are delighted to welcome Jack Hogben, a Graduate Trainee, Lesley Burns, a bookkeeper and service charge accountants, and Millie Newton who joins as a Junior Accountant. Finally, it’s not only been fun and games this month as we continue to get on with doing what we do best, providing reliable tax and accounting services. We’ve been talking pensions, Making Tax Digital, property sector success and now Research and Development tax relief too! Well done to our London office who were successful in a £250k Research and Development tax relief claim for one of their clients! 4 out of every 5 businesses eligible for Research and Development tax credits aren’t claiming for the relief. It’s important to find out more about R & D and talk to your local office about how you could benefit. 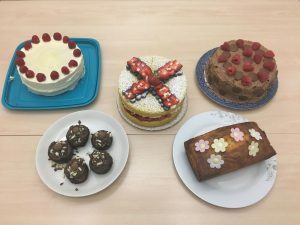 This month has certainly supported our claim to the title, Employer of the Year but it’s not only confined to July as these activities are hardwired into the Cottons fabric. To find out more about working with our firm of chartered accountants then check out our current vacancies. Alternatively, if you are working hard on your business and need a great accountant, then get in touch to find out how we can work with you to organise your operations and make you more tax efficient.